Scott Pruitt, the former Oklahoma attorney general who relentlessly pursued President Trump’s promises of deregulation at the Environmental Protection Agency, resigned Thursday after a cascade of controversies over his lavish spending, ethical lapses and controversial management decisions finally eroded the president’s confidence in one of his most ardent Cabinet members. 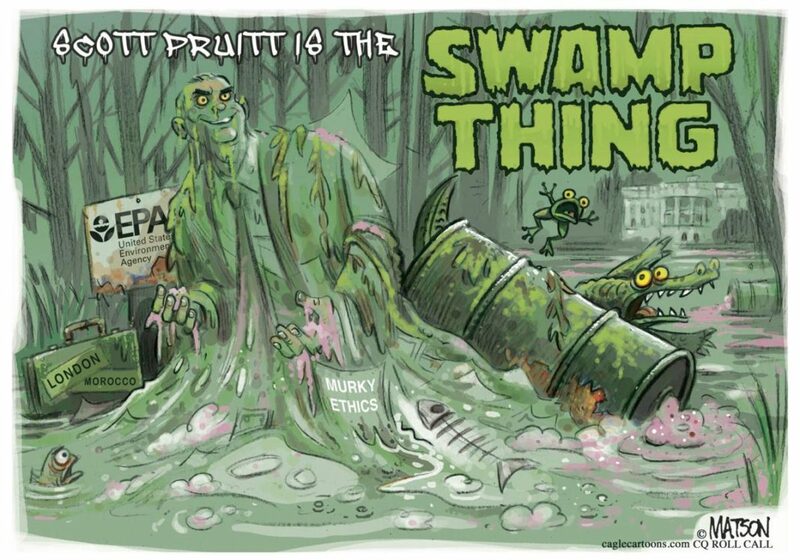 Pruitt … weathered a litany of ethics scandals in recent months, including questions about taxpayer-funded first-class travel, a discounted condo rental from a D.C. lobbyist and the installation of a $43,000 soundproof phone booth in his office. 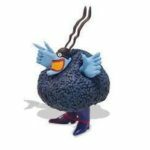 But revelations about his behavior continued to mount, including reports that he repeatedly enlisted subordinates to help him search for housing, book personal travel and even help search for a six-figure job for his wife. That quest included setting up a call with Chick-fil-A executives, in which he discussed her becoming a franchisee, as well as outreach to a conservative judicial group that eventually hired Marlyn Pruitt. In recent weeks, an exodus of trusted staffers left Pruitt increasingly isolated, and some once-loyal Republican lawmakers wearied of defending him. Investigators on Capitol Hill had summoned current and former EPA aides for interviews, as part of the more than dozen federal inquiries into Pruitt’s spending and management of the agency. On Thursday, President Trump called Pruitt’s top deputy Andrew Wheeler to inform him that he would be taking the helm of the agency, according to an individual who spoke on the condition of anonymity because of the sensitivity of the matter. Soon after, Trump announced in a two-part tweet that he had accepted Pruitt’s resignation. The Senate confirmed Deputy at EPA, Andrew Wheeler, will assume duties as the acting Administrator of the EPA. Wheeler, a former Senate staffer and EPA employee who spent the past decade representing coal, mining and other energy companies, will take the helm of the agency on Monday. 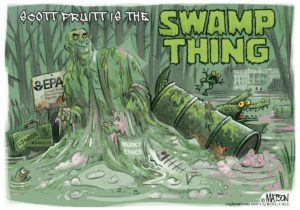 Fox news host and Trump supporter Laura Ingraham on Tuesday tweeted, “Pruitt is the swamp. 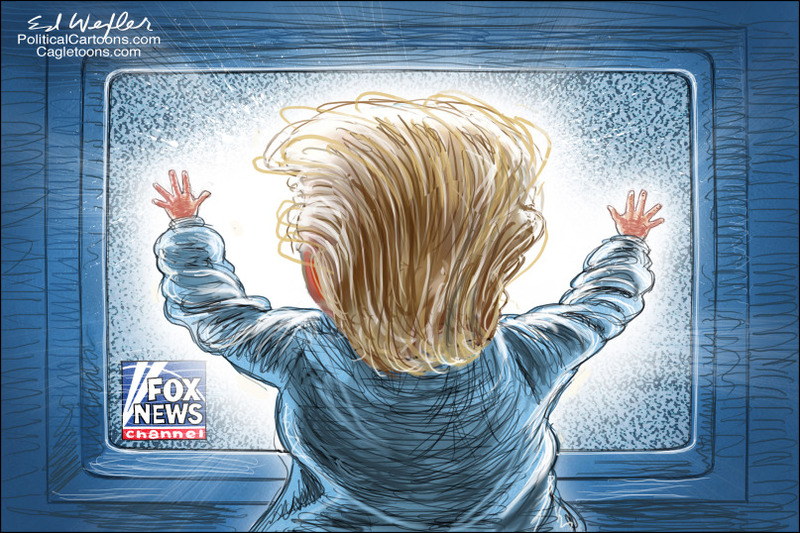 Drain it.” Fox News’s Laura Ingraham Really Wants Trump’s EPA Head to Go. So our “Dear Leader” is taking his instructions from Fox News aka Trump TV again? This is what it takes to get rid of Pruitt? The Russians, FBI Director James Comey, and the media’s infatuation with Trump had more to do with the election than “God’s providence.” Maybe “the devil made him do it” (h/t Flip Wilson).